Another week has passed in the world of TEFL so here's another update of my top TEFL blog posts for this week. One of my biggest regrets of when I travelled round the world is that I never made it to New Zealand. My parents have been and so have other relatives and friends. I know it's supposed to be a good place to teach English too. 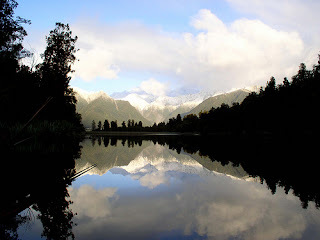 Anyway, here's a blog on Gap Year Escape with 20 photos to inspire travel in New Zealand. (Photo by theboywiththethorninhisside). This is a great post by Caz on ytravelblog. It reminded me of my travels and made me remember how lucky we are sometimes. Have a look. It's called Dealing with the poverty you see on your travels. This witty article by Alex Case on TEFL.net about how to remember students. Could be useful for those summer school classes. Check out this article on ESL About.com on Business English Videos. Good old Larry Ferlazzo now has a regular featured titled Around the web in ESL, defin worth a look. For last week's blog have a look here.